By now equally known as a publisher (Tartarus Press) and a writer, RB Russell is the author of various collections of short stories, novellas, and a recent novel (She Sleeps). The content of his fiction is mostly dark, often addressing the strange and the supernatural, and his narrative style is always elegant and effective. 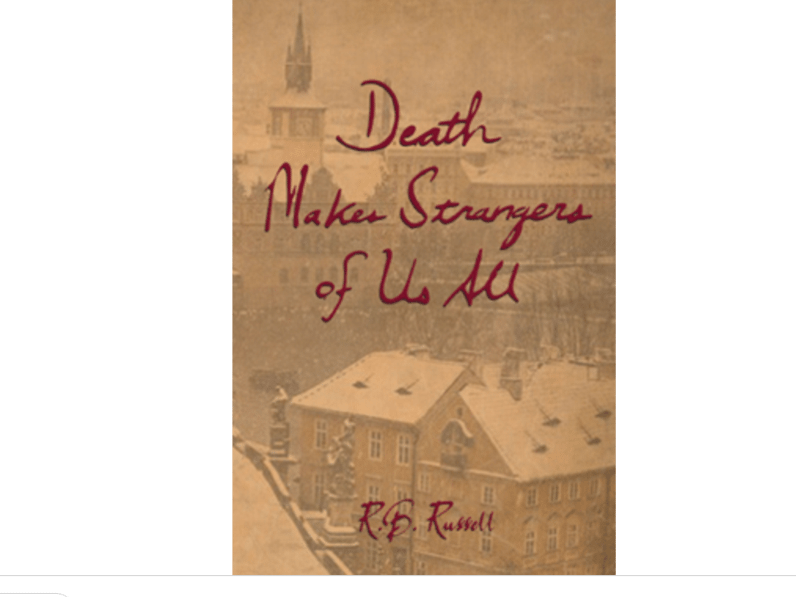 His latest collection, Death Makes Strangers of Us All, published by the distinguished Irish imprint Swan River Press, appears slightly more mainstream-oriented than usual, but even so, Russell’s vision of the world and of the human condition is always very sensitive to any unusual detail, even when ostensibly describing a daily, “normal” reality. Among the ten stories included in the volume, my own favorite is “Night Porter,” a superb tale featuring a young woman working as a night porter in a hotel, facing a puzzling mystery involving an aged woman and her unlucky young male escorts. “The Mighty Mr Godbolt” is a surrealistic, enjoyable piece with a nasty ending, set during a peculiar train ride, while “Brighthelmstone” is a vivid, yet melancholy recollection of a short, uneasy holiday at Brighton with a widow and her restless son. Apparently a tale of the fantastic, “The Man Who Missed the Party” is actually an insightful meditation about love, the limits of human existence and the unexpected twists of fate. Set in Spain (but it could take place anywhere), “It’s Over” addresses the eternal drama of lost love and despair, with a smart touch of the supernatural. The excellent “One Man’s Wisdom” revolves around a baffling contraption made of pipes hidden inside a building ready to be torn down, which exerts a strange influence on the lives of two men. Finally, “The Ghosts of Begbie Hall” is a delightful cautionary tale for the skepticals who don’t believe in ghosts. Once again, RB Russell has produced a fine collection of remarkable stories told in a captivating, styling fashion.